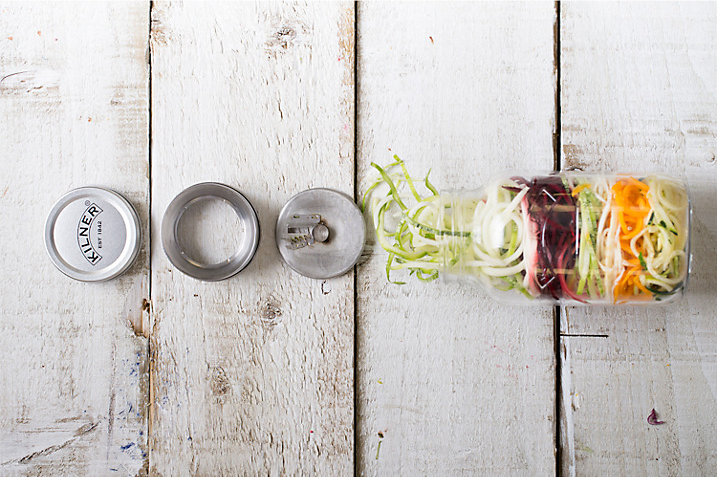 Review & Giveaway: Say 'No' to spaghetti & 'Yes' to courgetti with the Kilner Spiralizer jar! If you’re a regular reader, you’ll know how much I love organising. 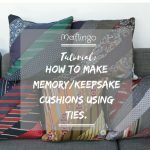 When I’m not organising Mr T. and the kids, I can while away hours browsing for storage ideas on Pinterest to keep my shelves and cupboards tidy. 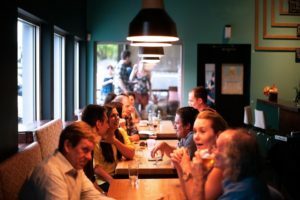 No wonder I was delighted when Kilner, creators of the original storage jar, asked me to try out the latest addition to the Kilner range, the Kilner Spiralizer Jar. Celebrating 175 years of Kilner. This year marks Kilner’s 175th anniversary of producing high-quality glass jars. To celebrate the occasion, the designers at Kilner have produced a new 175th Anniversary Jar, which reflects the styling and finish of John Kilner’s original patented vacuum seal jar. 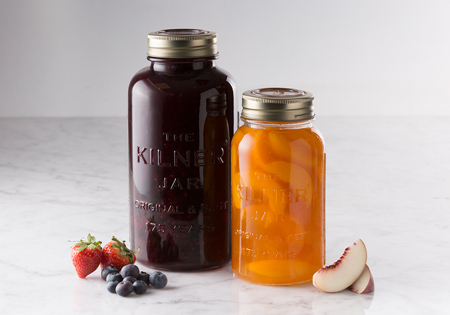 Kilner’s original jar revolutionised the way in which food could be made and stored. Although Kilner’s simple but effective vacuum seal system is still used today, the company’s designs have continued to evolve and move with the times. 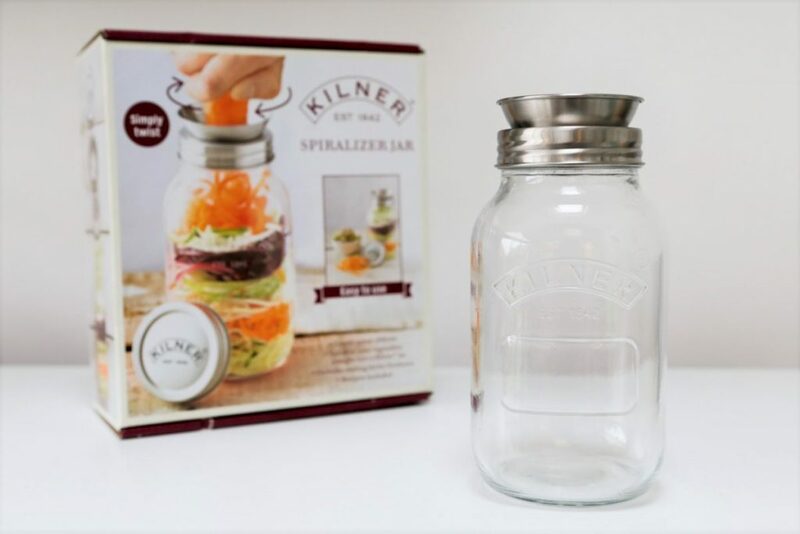 One of the newest additions to its range, The Kilner Spiralizer Jar is a perfect example of how Kilner has continued to keep pace with current lifestyle trends. 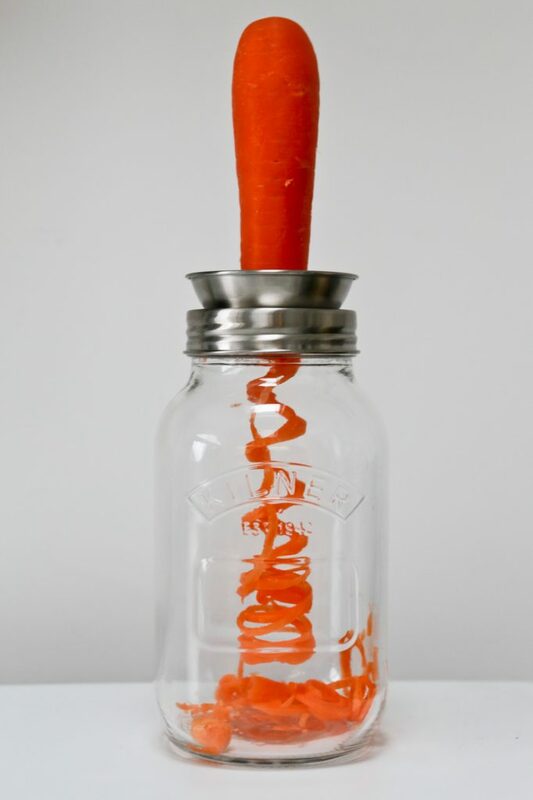 The Kilner® Spiralizer Jar, (£10-£15). The Kilner® Spiralizer offers the easy way to create spaghetti style spiral ribbons from a variety of hard vegetables. It’s perfect for courgettes, squash, carrots, beetroot, onions and potatoes and offers a healthier alternative to pasta. Using the Kilner Spiralizer Jar. 2. Place the spiralizer blade (cutting disk) over the mouth of the jar. 3. Screw the spiralizer band over the disk and onto the jar to hold the cutting disk in place. 4. Hold the vegetable vertical and apply a little downward force to skewer it on the protruding tube on the cutting disk before continuing to apply pressure as you turn the vegetable clockwise. 5. The spiralized vegetables will be collected directly into the 1-litre glass Kilner Jar. A smooth and steady action will help to keep the spiralized vegetable strands consistent. 6. When you are finished spiralizing, unscrew the attachment and rinse it with warm, soapy water to remove any remaining food, taking care around the sharp blade. A soft scrubbing brush can be used to remove any stubborn food particles. 7. Screw on the spare Kilner lid provided to store your freshly spiralized vegetables in the fridge or take your meal to work. Please note: Do not pour boiling water directly into your jars/bottles. As the instructions above suggest, the Kilner Spiralizer is very easy to use. You need a apply a bit of ‘elbow grease’ to spiralize some of the harder veggies but the kids enjoyed their workout and I’m happy to do anything to keep my ‘bingo wings’ at bay! 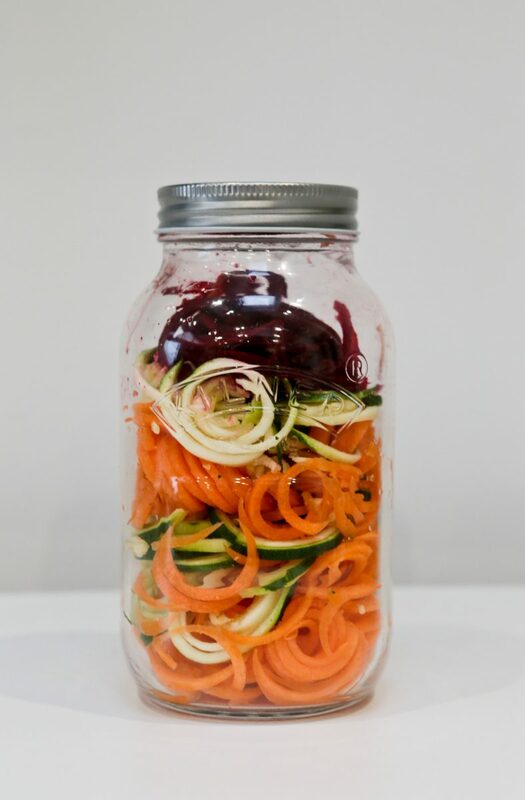 I’ll admit, the Kilner Spiralizer exceeded my expectations and I was surprised how quickly we filled the jar with spiralized carrot, courgette and beetroot. Having a manual spiralizer in the lid so you can feed the spiralized vegetables directly into a glass storage container is such a simple but practical idea, minimising mess and washing up. The Kilner Spiralizer is dishwasher safe too. As with our much-used mini-food processor/smoothie maker, the Kilner Spiralizer jar provides another simple way to encourage us to eat healthily. Plus, it turns ordinary vegetables into a much more colourful and appealing meal. I think the Kilner Spiralizer is a winner. There’s beauty in its simplicity. It’s a great value way to spiralize your veggies, offering a healthy alternative to pasta. Plus, it puts the fun back into vegetables for the kids. 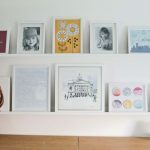 The best bit about Kilner’s Spiralizer Jar is rather than buying a bulkier, more expensive electronic spiralizer, you can join in the spiralizing craze with minimal investment. What’s more, because the spiralizer comes with a spare Kilner lid, you can use the pretty 1-litre glass jar for storage when it’s not in use. 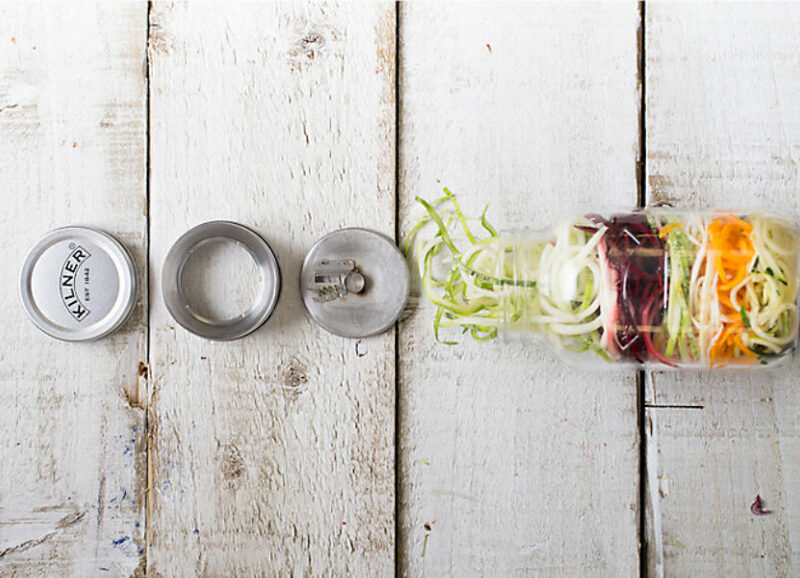 Win a Kilner Spiralizer Jar. 1. There is one Kilner Spiralizer Jar available for one winner. 7. 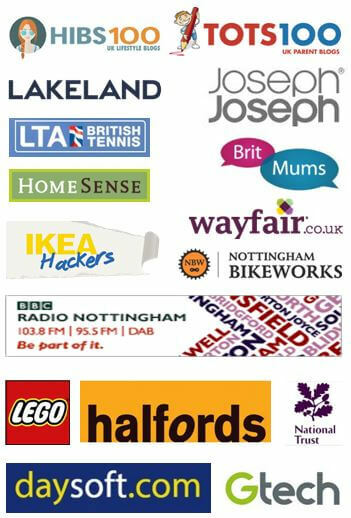 Entries must be received by 11.59pm on 19th March 2017. 8. The winners will be chosen at random and notified by email on or after 20th March 2017. You can buy the Kilner Spiralizer Jar from a number of retailers, including: John Lewis, Amazon and The Range. Have you tried spiralizing vegetables as an alternative to pasta? Have you got a manual or electronic spiralizer at home? As always, I’d love to hear from you. 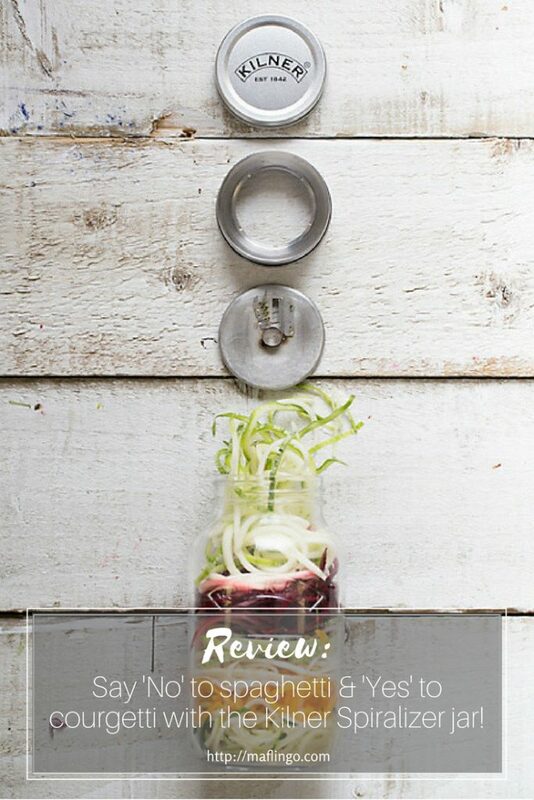 I was sent a Kilner Spiralizer Jar and 175th Anniversary jar for the purposes of this review. As always, all words and opinions are my own honest assessment. 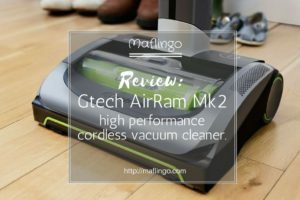 I review the new Gtech AirRam Mk2 cordless vacuum cleaner, the successor to the original AirRam. Can this light-weight rechargeable sweeper really replace my conventional vacuum? 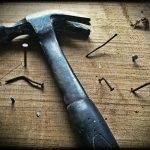 There's only one way to find out! 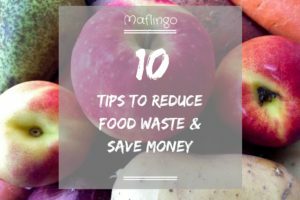 Follow my top 10 tips and you'll not only reduce food waste, you'll save money too. I like a vegetable curry made with peanut butter and coconut milk. Odd but amazing! 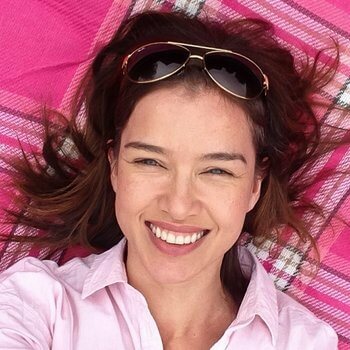 My favourite vegetable dish is roasted Mediterranean vegetables! I love tomatoes! Carrots. So healthy and versatile. Eaten as part of a meal or on their own as a filling snack. Tried this at Christmas time Middle Eastern roasted sprouts, by Jamie Oliver. They were wonderful. I love brocolli especially in soup. Vegetable lasagne. I do layers of ratatouille, alternated with layers of spinach & mushrooms. One of my favourite veg dishes is a spicy courgette, rice and lime soup. I often buy the courgettes on offer and the rice bulks out the soup, so it makes a hearty and tasty soup for very little money. I love a good vegetable stir fry – delicious. A homemade Korma with sweet potato instead of chicken. Great little gadget. I love vegetable curry. Both my husband and I love vegetables but we don’t eat enough. My husband has recently been told by his GP to lose weight and cut down on carbs so a spiralizer would be wonderful. We love all vegetables, especially carrots, courgette and cauliflower. No way – I did not know these even existed! I want one! My friend made me a gorgeous thai soup recently with some spiralised veg on top – brilliant idea! Broccoli Rabe sauteed in garlic, olive oil with some salt. I literally can eat it every day. I love all green vegetables such as Brussels sprouts, cabbage and Kale all lovely stir fried with a little bacon. I Love kale at the minute, adds flavour to so many dishes! I never tire of a huge salad with every vegetable I can lay my hands on but I also love vegetable and cashew stir fry. I love Mediterranean style stuffed peppers….so good! I’m totally obsessed with vegetables but at the moment I can’t get enough of roasted chicory. I love roasted Mediterranean vegetables! Mine is veggie lasagne. 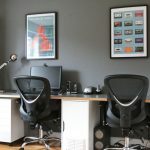 Thanks for this giveaway, I’ve been after one of these, they sound so good. Cauliflower cheese – it’s real comfort food, which I always cook when on of the family is not feeling well. Love the vegetarian bolognese that my partner makes which is full of carrots, celery, onions, tomatoes and served with Courgetti which I am slightly addicted to! I love spiralised butternut squash with flaked salmon and lemon juice – very healthy! I love all sorts of vegetables. Broccoli, mushrooms, parsnips and carrots are my favourites. I love them in a casserole. I love courgetti spaghetti! I also love making pasta dishes and putting loads of vegetables in the sauces. Homemade vegetable soup, but must have chunks! I love all vegetables and I really enjoy a vegetable casserole with dumplings. Sweet potato Jalfrezi with garlic bread. I love roasted Artichoke hearts on a vegetaria pizza.